Note: The Administrator can only send SMS to those users who not only register but give their phone numbers, as well. 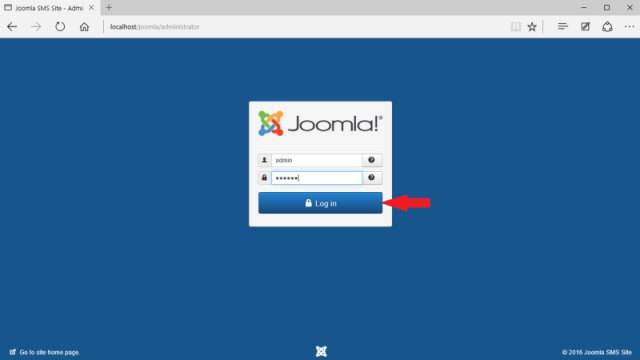 First you need to open the administrator webpage of your Joomla site. 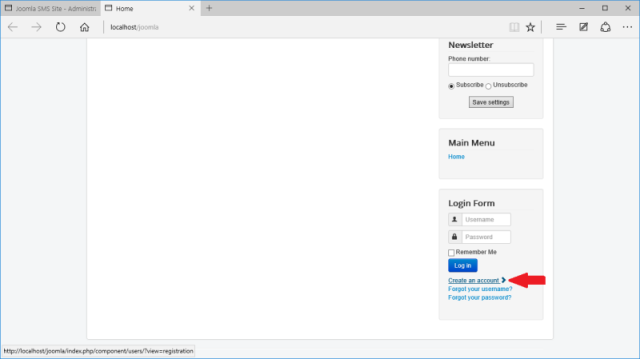 Provide th administrator user name and password and click on the "Login" button as the example shows in Figure 2. 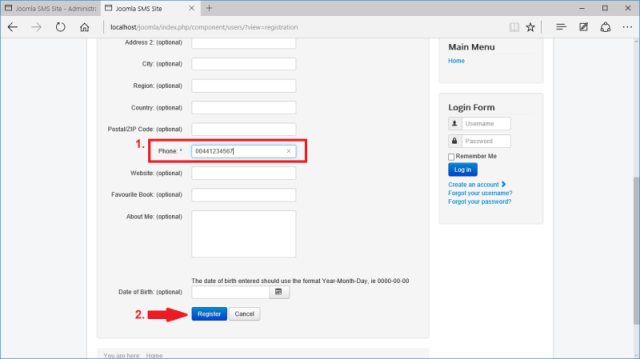 After logging in, you need to enable the User - Profile plugin to make it possible for the users to be able to register with their phone number. 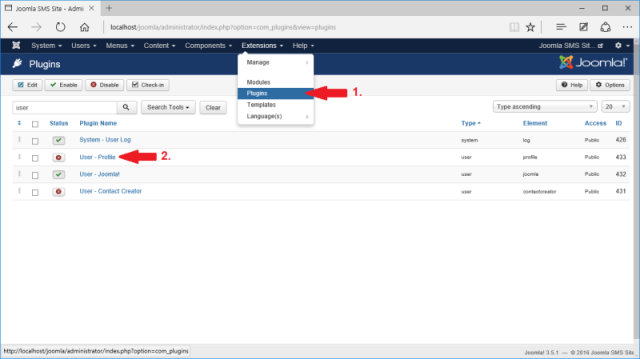 FIrst, click on Extensions \ Plugins menu, and select the User - Profile plugin by clicking on it (Figure 3). 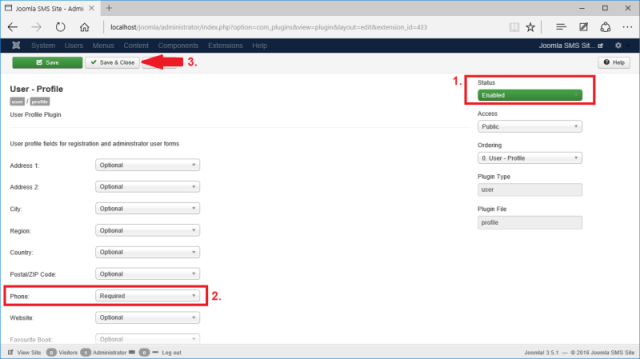 On the next page, enable the plugin on the right side of the web page and make the phone number field to be Required. Then click on Save and close button (Figure 4). 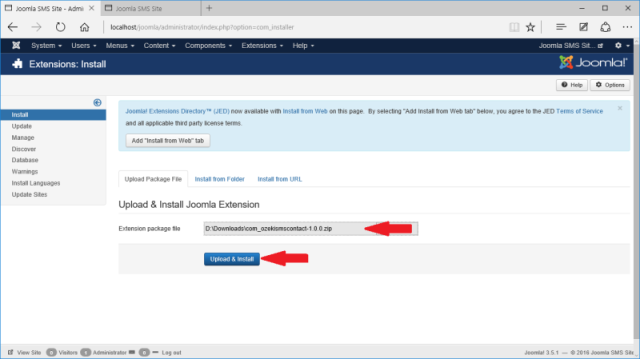 The next step is to create a new user via the home page of your Joomla website. Click on Create an account link (Figure 5). On the registration page you need to fill the form, and provide a valid phone number (Figure 6). 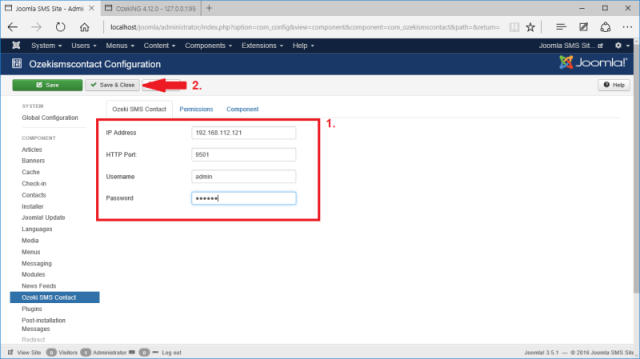 Return to the admin page of your Joomla site, and install the Ozeki SMS Contact component under Extensions \ Manage \ Install menu (Figure 7). 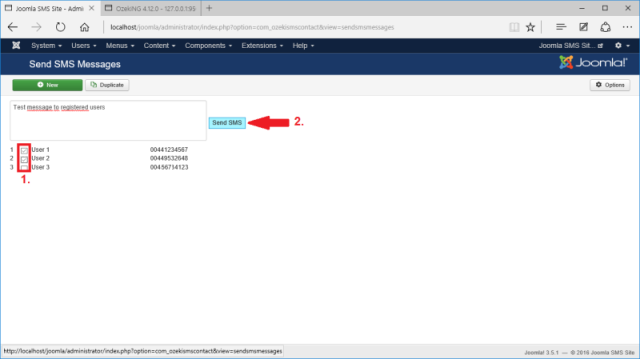 If you have installed the module successfully, a new submenu appears under the Components menu: Ozeki SMS Contact (Figure 8). After you have selected the new menu, click on the Options button on the right side of the page (Figure 9). If you clicked on the Options button, the config menu of the component appears. 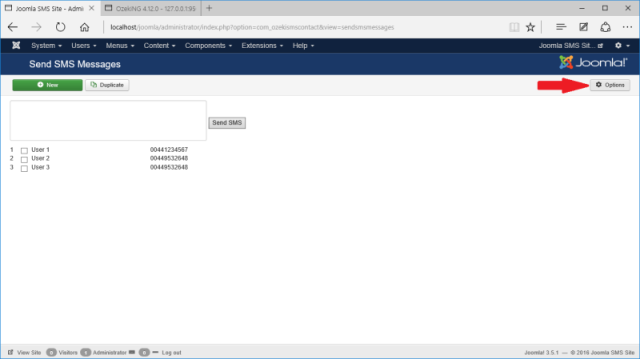 Provide the IP address ang HTTP GUI port of your Ozeki NG SMS Gateway, and a valid username and password of one of the available user from your SMS gateway (Figure 10). Now return to the main page of the component, where the registered users will appear. Only those users can be found in the list, who provided a phone number during the registration. Select some users, write something into the textbox, and click on the Send SMS button. 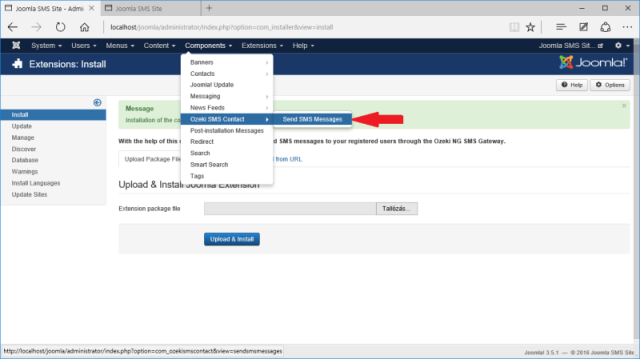 If you have provided valid data under the Options menu, your SMS messages will be sent out by your Ozeki NG SMS Gateway (Figure 11). 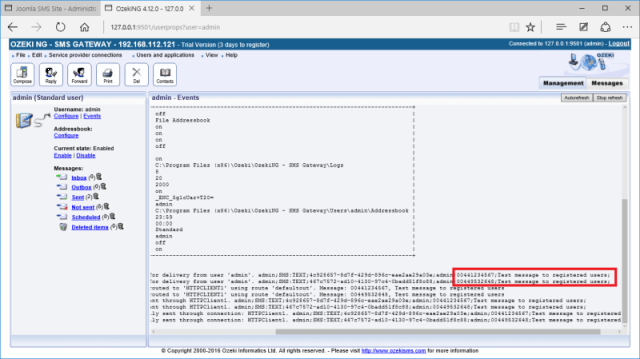 If you login to the Ozeki NG SMS Gateway with your previously provided username and password, you can check whether the messages has been sent out or not (Figure 12).